Home / Car Insurance • Cars / How Much Car Insurance Do You Really Need? Purchasing a vehicle is one of the largest investments you will make, second to the purchase of a home. This is what makes it imperative for vehicle owners to get car insurance coverage and maintain their vehicle and keep it running in good condition to avoid costly expenses. Please note that there are hundreds and thousands of companies out there who offer car insurance and choosing the perfect one requires some homework and evaluation. 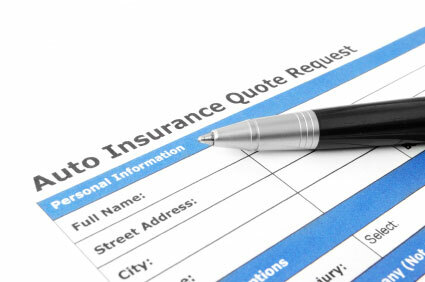 However, keep in mind that the less you pay, the narrower the extent of the coverage for your vehicle will be. When it comes to determining the amount of insurance needed, most people get confused and have to often face a difficult question: “What car insurance do I need?” So, to help you understand, let’s first take a look at the type of insurance you need. Generally, every state, except for New Hampshire, requires vehicle owners to carry what is called as ‘Auto Liability Insurance’. This insurance basically covers for bodily injuries and property damage in situations when you are at fault. This coverage includes paying for any damage caused to someone else’s property and medical bills and other related costs, such as doctor’s fees, loss of income, etc. However, please note auto liability insurance does have a few limits as well. These limits are generally expressed by three numbers in a policy. For instance: 150/350/30. The first one is the limit on bodily injury coverage, the second one is the total payout limit and the third basically represents the total amount of coverage available for property damage per accident. According to Edmunds.com, the minimum property damage liability coverage requirement ranges from $5,000 to $25,000 per accident. For bodily injury liability coverage, the minimum requirements are $20,000 to $25,000 per person and $40,000 to $50,000 per accident. Please note these are just the lowest requirements. 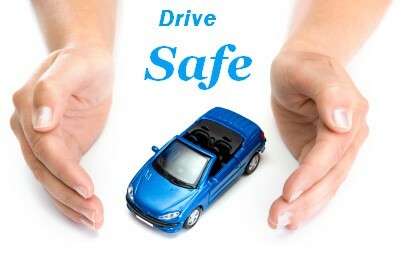 But in order to protect other assets, vehicle-owners must do better than the bare minimum. This is because if you have an asset and do not have adequate insurance to cover for bodily injuries or property damage, this could put your asset at undue risk. Therefore, to be on the safe side and to ensure your assets are protected, it is imperative for you to carry an insurance policy which provides you reasonable coverage. Apart from auto liability insurance, some states also require vehicle owners to have underinsured motorist coverage and personal injury protection. The underinsured motorist coverage generally covers the injuries you sustain in circumstances where you have been in an accident due to the fault of another driver but have inadequate car insurance. On the other hand, the personal injury protection covers for lost wages and medical expenses, in circumstances where you and your passengers have been injured in an accident. For more information on the coverage needed, you can consider checking with your state insurance department. This is mainly because the insurance policies vary state by state and county by county. As mentioned earlier, since insurance policies vary from state to state, some people might have heard about comprehensive and collision coverage. But for those who do not know, let’s enlighten you a bit. Usually, some states will require vehicle owners to have comprehensive and collision insurance in circumstances where your vehicle is financed. Comprehensive insurance coverage generally covers for damages which are caused by something other than an accident, such as theft or hail. On the other hand, collision coverage, as the name suggests, covers for the damage your car has sustained in the event of an accident. However, please note that carrying these two insurances is not mandatory. To determine whether or not you require comprehensive and collision coverage, it is advised to ask yourself some simple questions: What’s your financial position? How much will you be paying each month on your premium? And, will you be able to cover for the expenses if you don’t have the necessary coverage? By answering these questions, you can ease the decision-making process for yourself. The different types of insurance coverage mentioned above can all help cover for the cost you incur in case of an accident, including medical and property damage related expenses. Nevertheless, if you are looking for a little more added safety for your vehicle, passengers, and of course yourself, you can get additional coverage. This includes roadside assistance, medical payments coverage, and transportation expense. Roadside assistance generally provides free labor and towing coverage and is usually used in circumstances where your vehicle runs out of gas, breaks down or faces a similar emergency. It is usually offered by insurers, dealerships, and sometimes the manufacturer itself, in circumstances where you have purchased a pre-owned certified vehicle. (Med-Pay) Medical Payments Coverage, as the name suggests, covers for your medical bills. This coverage is generally used to cover for any expenses related to injuries sustained in an accident, regardless of which party is at fault. Med-Pay is usually mandatory in some states. Nevertheless, if you already have health insurance, you can always decide to go without it. Transportation expense, also popularly known as Rental Car Reimbursement, is optional and you can choose to go without it in circumstances where you have a second car while your primary one is being repaired or worked on. So, now that you are familiar with the information above, answering the difficult questions “What type of car insurance do I need?” and “How much insurance do I need?” won’t be a problem. However, please note that in order to get the best insurance, you need to shop around, perhaps consult a car insurance agent, educate yourself on each type of coverage available, and learn about your state laws.